1. 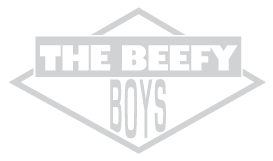 Please email hello@thebeefyboys.com to request a refund and we will assign you a tracking #. We use DPD, Royal Mail and Hermes to deliver our orders. We charge £4 for standard delivery of a single item, additional items are charged at an additional 75p per item. Orders over £35 get FREE P&P!